Jahi McMath to receive high school diploma. More denial …? Home Scandal and Gossip Jahi McMath to receive high school diploma. More denial …? A matter of faith or is there more going on…? Jahi McMath‘s family has told that their daughter who this past December was declared brain dead is to receive her high school diploma. 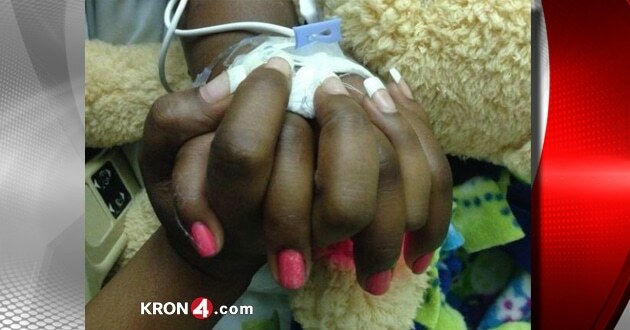 Jahi McMath body deteriorating. When will family give up? 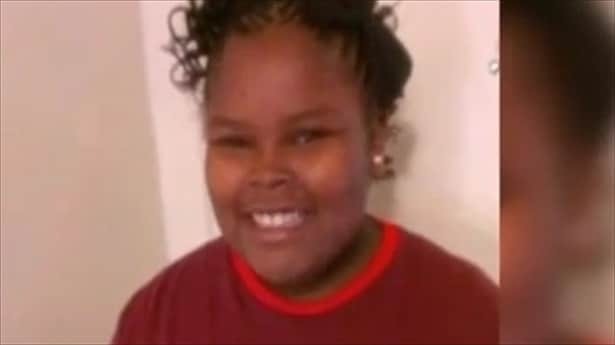 Body of Jahi McMath released to mother. Search for facility underway. A good decision? Jahi McMath wins last minute emergency injunction to stay hooked up. 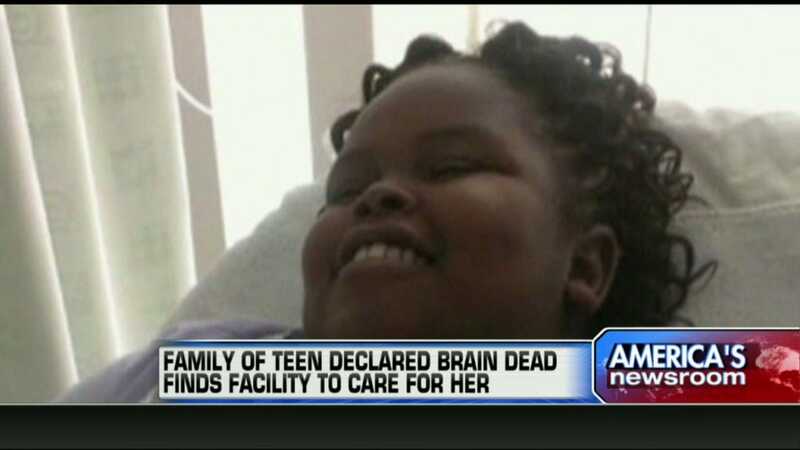 Why is Jahi McMath, 13 year old brain dead girl after tonsil surgery taken off life support against family wishes? The announcement of Jahi McMath’s diploma came yesterday evening after her uncle, Omari Sealey told that his nieces’ school, E.C Reems Academy of Technology and Arts in Oakland will be presenting the eight grade graduation diploma to a family member. The school’s graduation ceremony is set for Friday. The graduation comes as a result of the eighth grader having been expected to graduate this summer prior to undergoing failed tonsil surgery at UCSF Benioff Children’s Hospital in Oakland in December. During that operation, Jahi’s heart stopped before going into cardiac arrest, leading to brain damage. Believing that the girl could not be revived, the hospital declared her brain- dead, having sought to take her of life support. 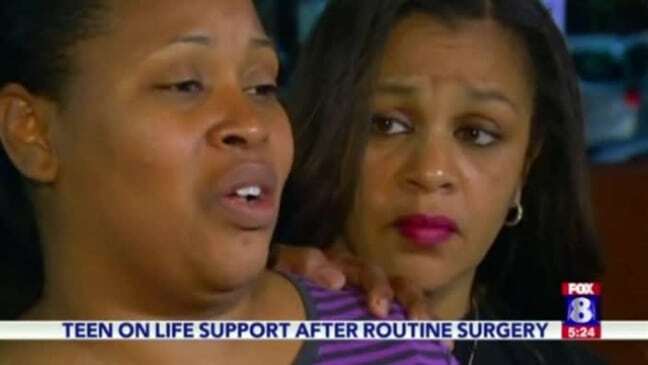 A gesture that was met with outcry by the family who took the matter through the courts to keep her on life support before moving her to a new facility. At the time the family had insisted that Jahi had responded to her mother, Nailah Winkfield’s voice. With the awarding of Jahi’s diploma new questions have been asked as to whether the girl has indeed made any improvements or whether the family will relinquish their fight for the girl’s life? The questions come after Oakland’s Children’s Hospital insisted earlier this year that the girl could not be be rehabilitated. ‘No amount of food, medicine, medical machinery, time or hope is going to bring back her back. ‘Jahi is still sleep but physically stable! No pic lines, no catheters, no I.V, she maintains all her vitals on her own, no medicines needed. I am giving her lots of vitamins and fish oil thru her feeding tube. Interestingly Jahi’s GoFundMe.com page is active as it continues to seek donations for the girl’s rehabilitation. At present it sits at $61K. Sleeping? For six months? Stupid reaches new low…..